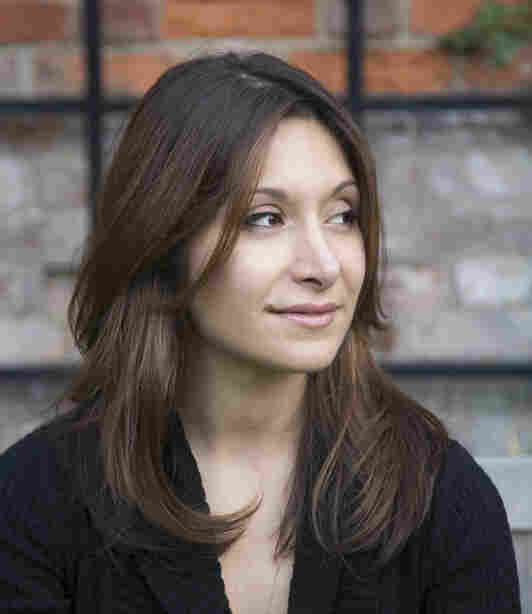 'I'm A Bit Of A Chameleon': A Writer Draws From Her Own Life In 'Refuge' Dina Nayeri left Iran with her mother when she was 8 years old. Her father stayed behind. The same is true of the protagonist in her new novel. "I don't feel like any place is home," Nayeri says. That's never been true for her. She's lived and traveled all over the world. "I'm a bit of a chameleon, but I don't feel like any place is home," she says. "There's no place where I can really say, you know, I feel complete and at ease." 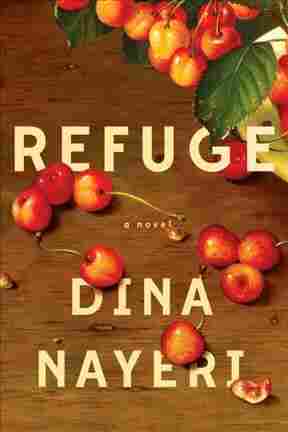 In her new novel Refuge, Nayeri tells a story very much like her own. Nayeri left Iran with her mother when she was 8 years old. Her father stayed behind. The same is true of the book's protagonist, a character named Niloo. Niloo's father even comes from the same Iranian small town as Nayeri's father. It's "an ancient village of unpaved roads, dotted in crushed mulberries, hand-crafted outdoor rugs swept with brooms, rows of pickle jars the size of children lining every house," Nayeri writes. Nayeri's mother converted to Christianity, so she had to flee Iran with her children to escape persecution. While Nayeri's father continued his familiar Iranian life, his daughter traveled the world, moving to the U.S. and then to Europe. The divide between father and daughter helped define her life, and it defines this novel. Refuge explores the tension between being tied to the homeland and the urge to assimilate. In many parts of rural Iran ... they make one spice mix every year. ... All of the women in the village gather together and they mix this blend with 30 different spices. It's got turmeric and cumin and coriander and all of these different things ... various teas ... rose petals ... and each year, it's a little bit different from the last. Everyone gets their jar and that year, everyone's dishes kind of taste the same. The next year, you kind of know if people are using last year's spice. It's a very beautiful tradition. ... If you are [living abroad] and sent a bottle of that, it's almost like just having a piece of your old life appear at your doorstep. That particular mix, I mean, it had my grandmother's fingers in it. It had tasted like the food at home. I had another 100 or so meals in my future that would have included it. ... I have a new mix now that my mother made. It's different and it's lovely but not the same. No, but he read the New Yorker article. And it's actually funny the things that he chooses to object to. For example, he was very upset that I called [his hometown] a "village" ... he said: It is a city and it has been a city for a while now. So if you're going to be a serious writer, perhaps you should research that. And then he also didn't like little things, like, I said he was aging. He doesn't care about what people think about his choices. He made his choices. He's happy with them. He's a bonvivant, but he doesn't like being told that he's getting older or that his city is a village. When I was a teenager, I was so embarrassed by my parents, especially by my father the two times that he came to visit. I mean, he radiated Iran and Iranian-ness. And that was a moment in my life where I wanted to put that aside. On her father coming to visit her in the U.S. Imagine the kind of divide that already exists between teenage girls and their fathers ... [it] was all of that same stuff plus the complication of the fact that this was a man from Iran. He had landed right in the middle of my world and with all of the friends that I was trying to make, and all of the images that I was trying to build for myself. And here he was just absolutely destroying them. So I picked on him a lot about that. ... I asked him not to speak Farsi ... [to stop] negotiating in stores. ... At one point, he just got tired of it and said: You know, maybe I should just wash all this away before I come and be a blank slate. I'm trying to keep a balance. ... She already loves the food. ... We mushed it up for her and gave it to her when she was 8 months old. And she loves the music and she loves, you know, hearing my mother speak Farsi to her. But I don't want to force that on her. I want her to choose. I think also that generation is going to be very different from us. I mean, they live in a different world. ... I don't think a girl like her will be influenced by just one or two or three cultures. ... I think it'll be a much more complicated upbringing than that. James Delahoussaye and Jessica Deahl produced and edited the audio of this interview. Beth Novey adapted it for the Web.